Sono pazzi questi Romani! 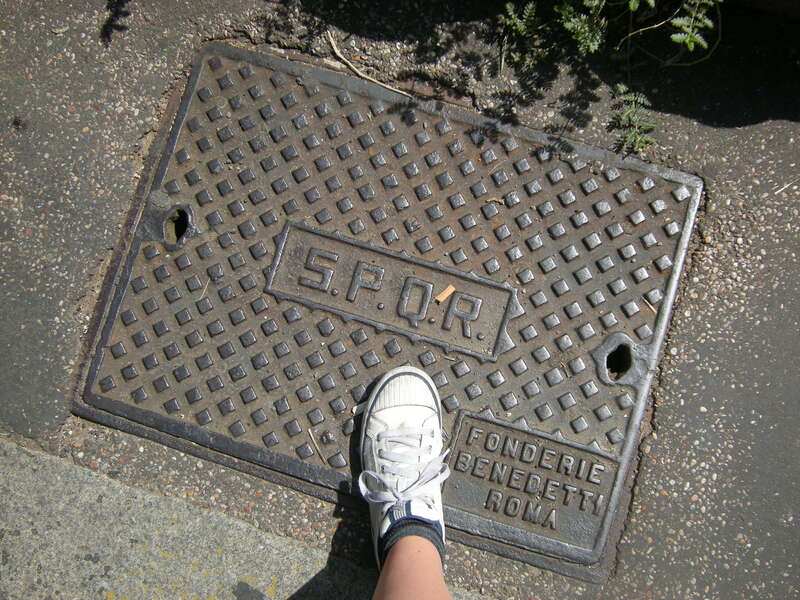 These Romans are crazy! About a week ago I returned from a five day field trip South of Rome. 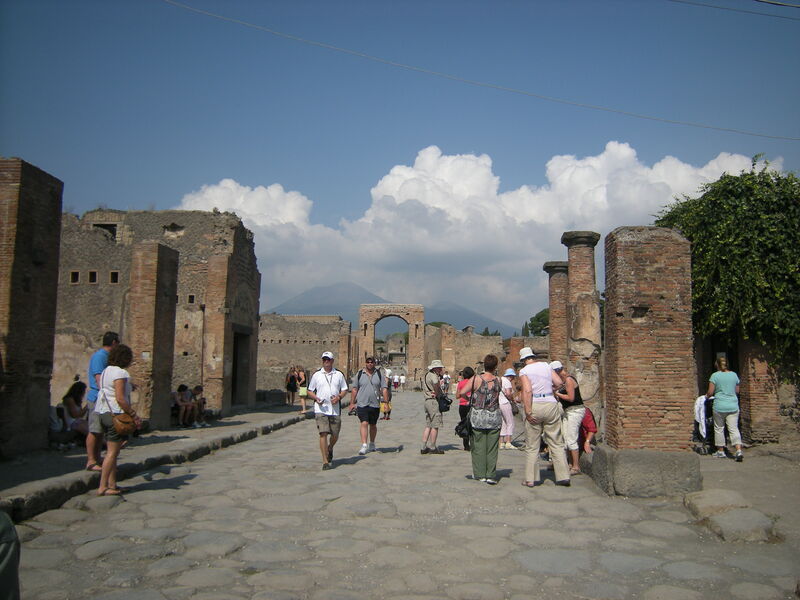 Our class took two buses and visited the cities of Cuma, Baia, Capri, Paestum, and Sperlonga. 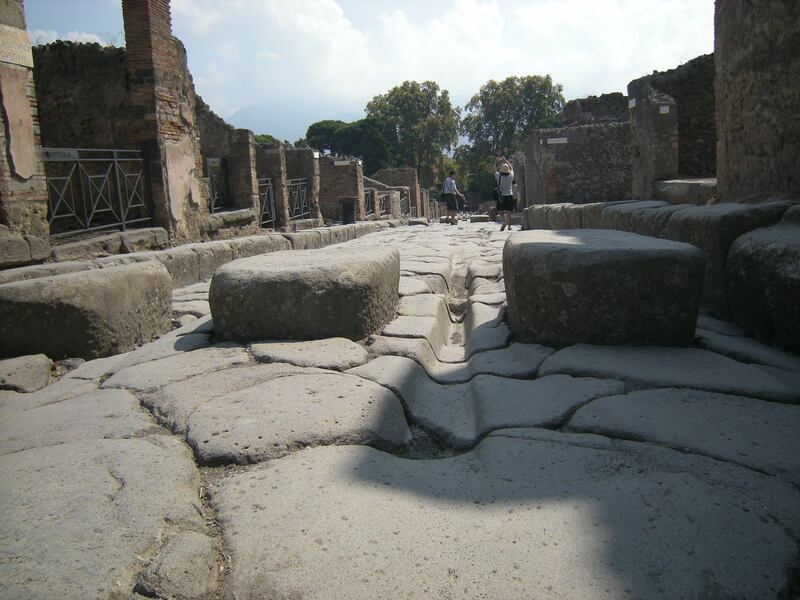 Along the way we began lectures onsite for one of our coarses – Rome and the Campagna. 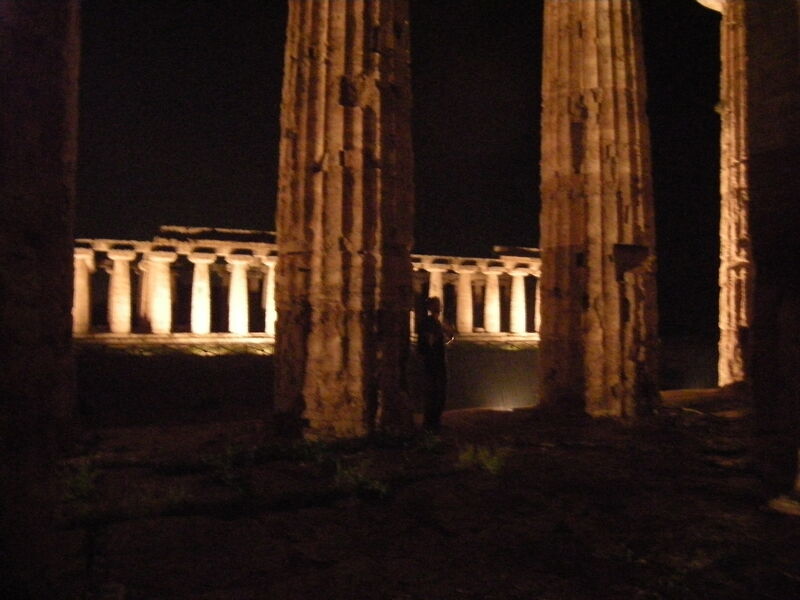 We left Rome very early in the morning and stopped in Cuma and Baia on the way to our hotel which was in Paestum. In Cuma we went to the archeological ruins and saw the cave of the Sybil, as well as the ruined temples of Apollo and Zeus. 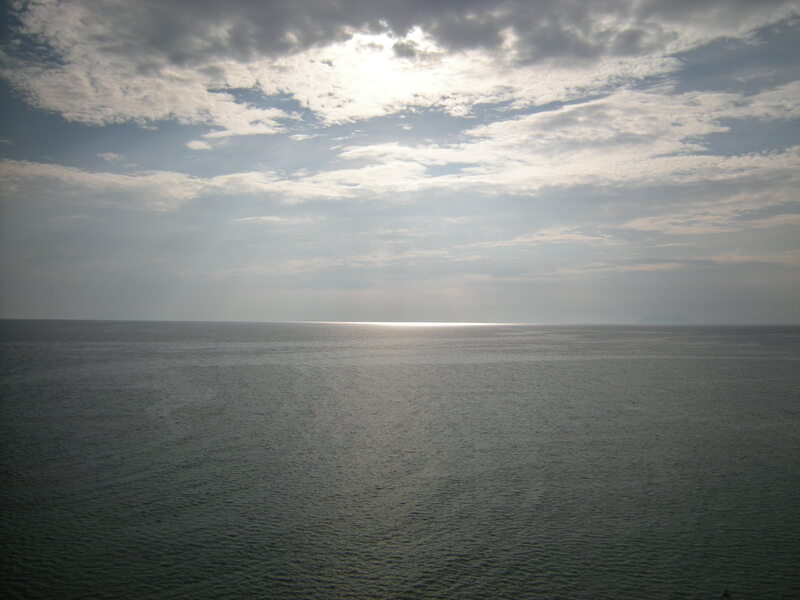 Cuma was the first Greek settlement in mainland Italy. The cave has a very interesting form and is known as the cave of the Sybil named after a cave described in the story of Homer’s Iliad (perhaps one and the same). Nothing exists of the temples except for the ruined foundations. It is interesting to see the traces of the history of the buildings as they were reused and reconstructed over time. 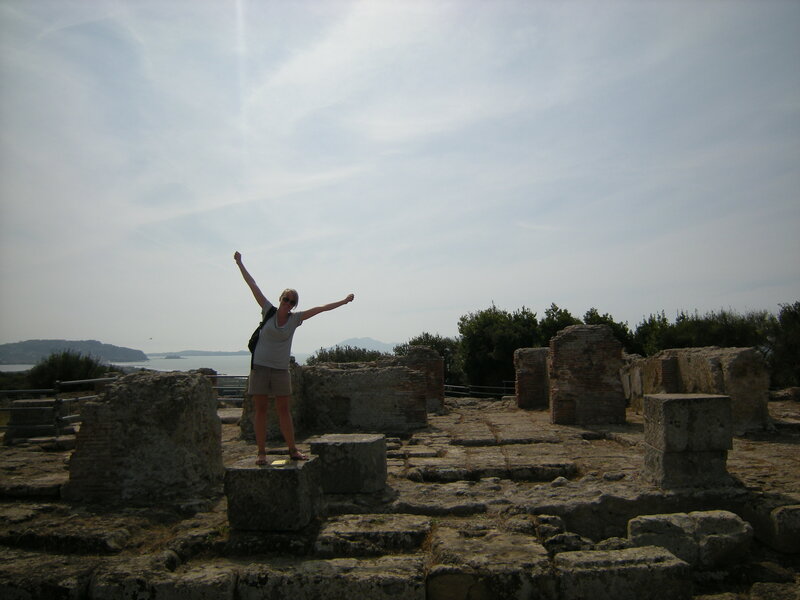 In Baia we visited the archeological ruins of the ancient Roman equivalent of a spa complex. 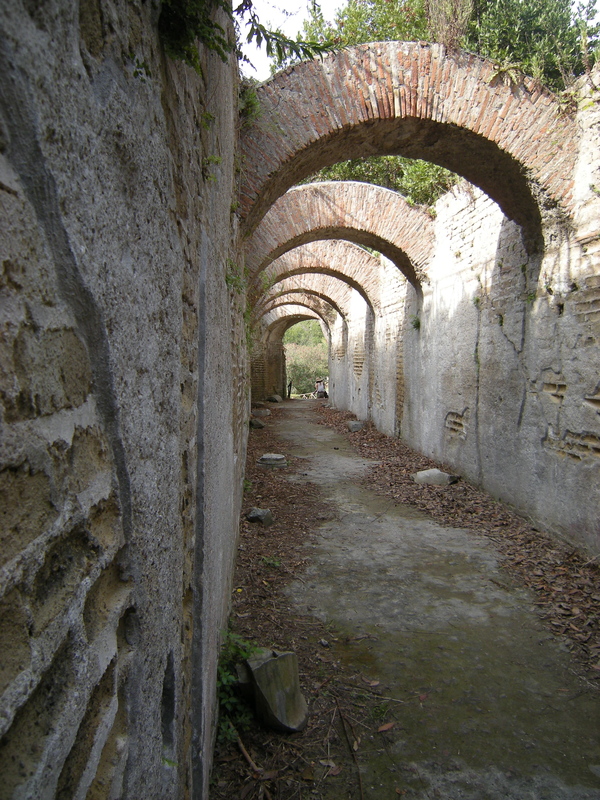 The ruin was like a huge playground and was very fun to explore. 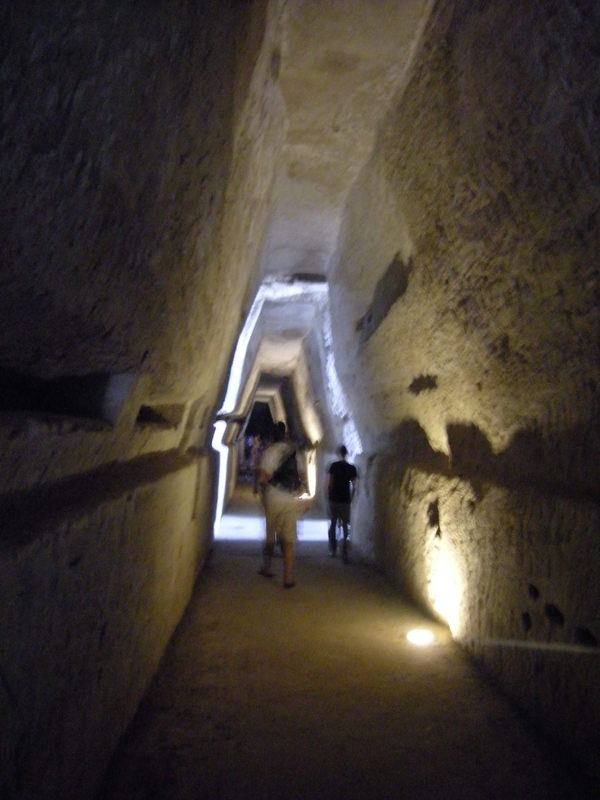 There were a lot of interesting spaces and the water infrastructure itself was impressive. 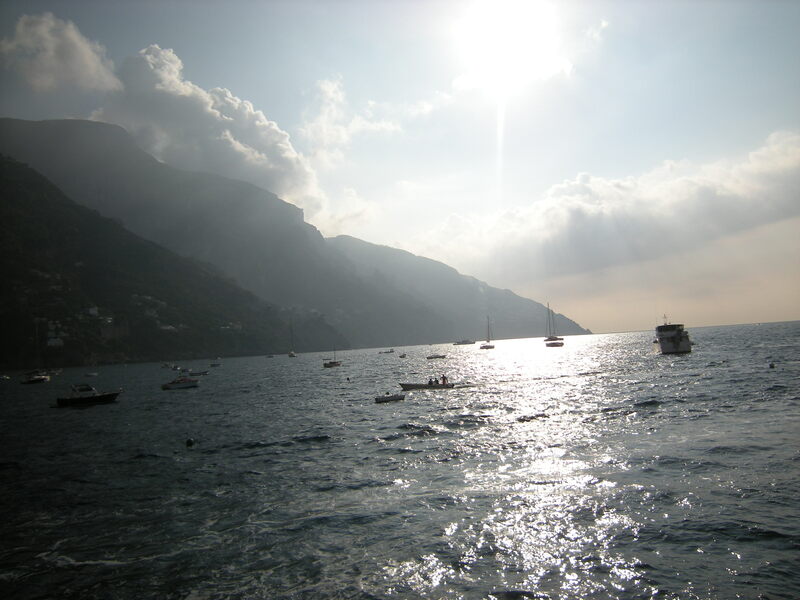 On day two we woke up early again and took the buses to Salerno and then a fairy to the island of Capri. The fairy ride was beautiful and we got to sail along the coast for quite some time. 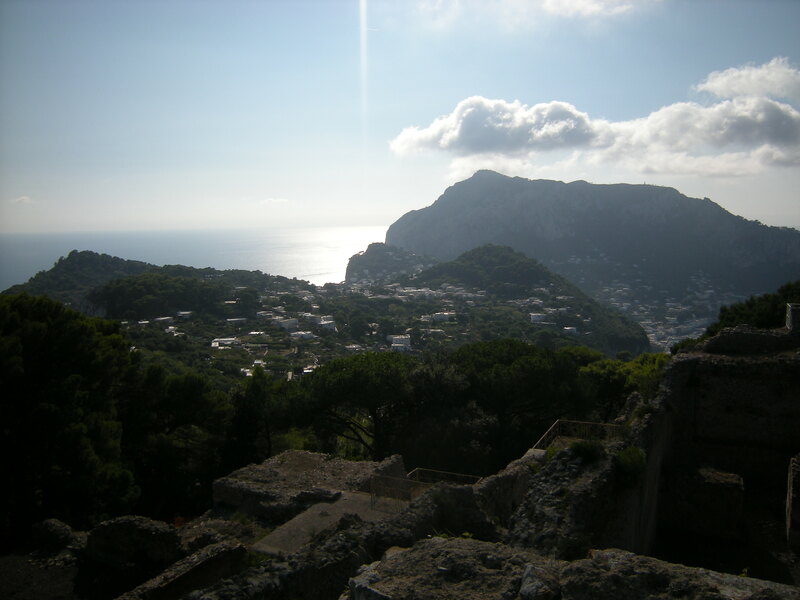 In Capri we first went up to the town center and from there went to see the infamous Faragliorri cliff rocks and the ‘Villa Malaparte’ designed by Adalberto Libera. Two classmates of mine managed to climb over the gate and we saw them get on the roof of the villa (the main design element of the house), until they were confronted by the inhabitants who were home, forced to delete the photographs they took, and kindly escorted off the premises! 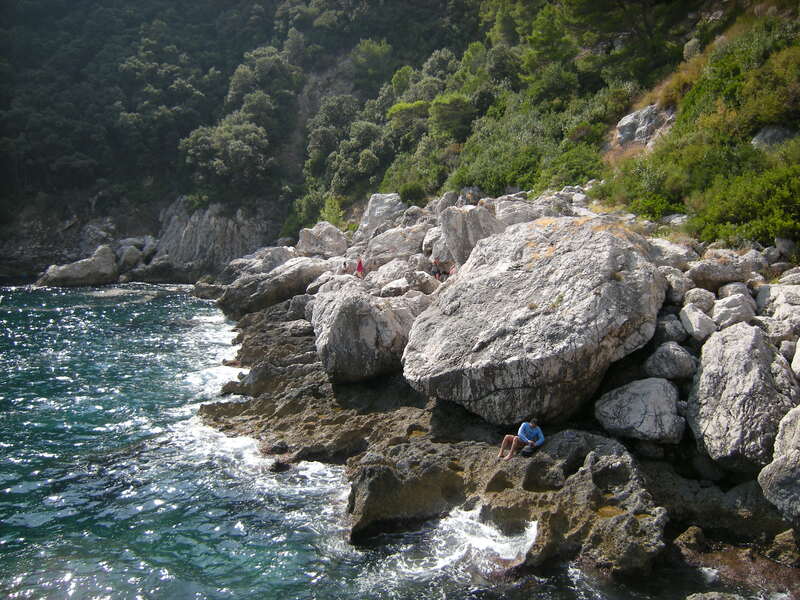 The next adventure was to take a very rugged path to the traditional swimming spot of the Waterloo Rome students. We were warned to bring closed-toe shoes to get down, but I think we still didn’t really know what we were in for. After climbing down an immensely long and steep path, we had to traverse a large field of boulders before we could reach the rock off of which we could all jump and swim. 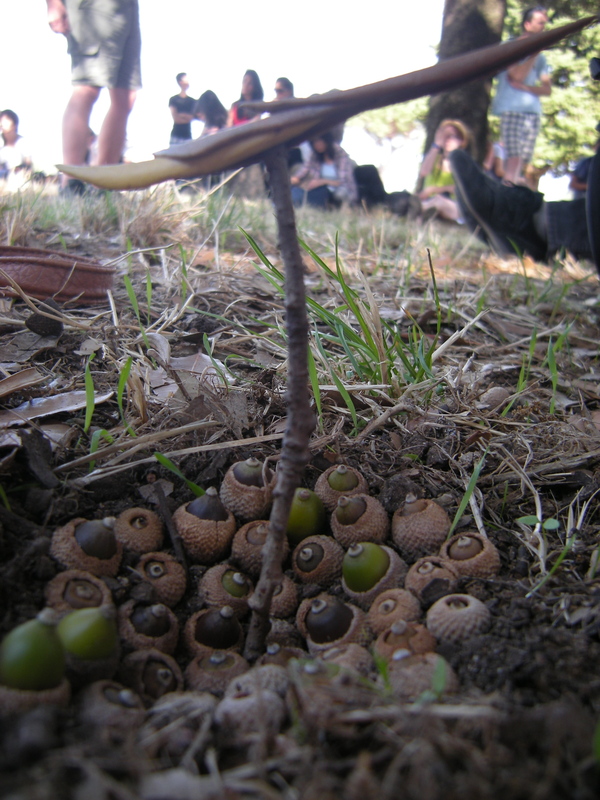 The idea was already strategically planted in our minds however, and so we had to do it or we would have regretted it! It was totally worth it though because the landscape and the water were absolutely stunning! Following this adventure (we still had to climb all the way back up don’t forget), we climbed up an immensely long staircase to see a natural arch in a cliff. Upon reaching the top of this insanely long stair (of 99 steps so I’ve heard) and stopping at a café for a bit of a breather, Vikkie and I decided to go on a mission to do the last item on our suggested to-do list, which was to visit the ‘Villa Jovis’. We had only an hour before we had to meet the fairy to get back to the mainland, so we power-walked to the topmost portion of the East side of the island and managed to see the villa and get back down in just enough time. The villa is a ruin that dates back to the first century AD and has some beautiful spaces and stunning views over the island. located in a museum in Napoli. The fourth day was more relaxing because all we had to do was walk from our hotel to the site which was only fifteen minutes away. 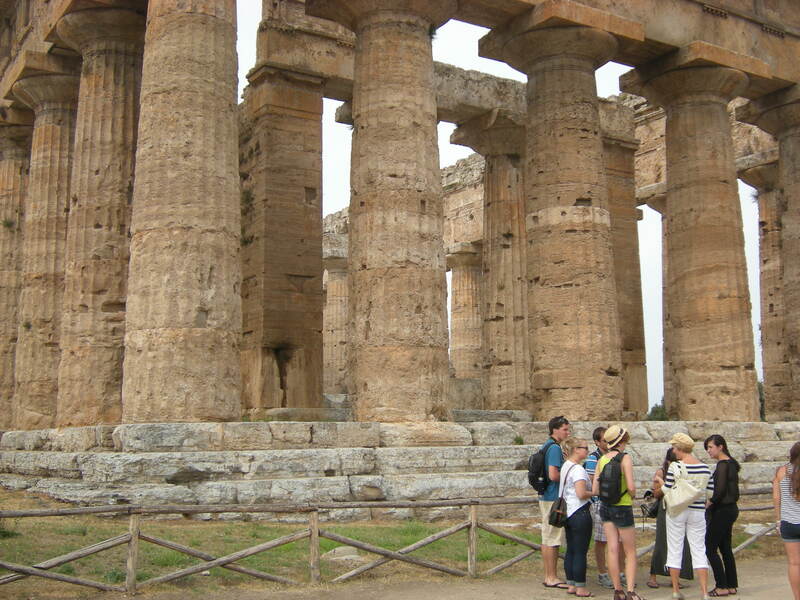 Here we entered the archeological site of Paestum which holds some of the most intact Greek temples in the world. Some other items of interest on the site are a series of painted tombs (now in the Museum), and the so-called ‘tomb of the founder’, of which there is usually one in every ancient Greek city. There are two temples on the southern side of the site that were supposedly devoted to the Greek god Hera and one temple to the North devoted to Athena. 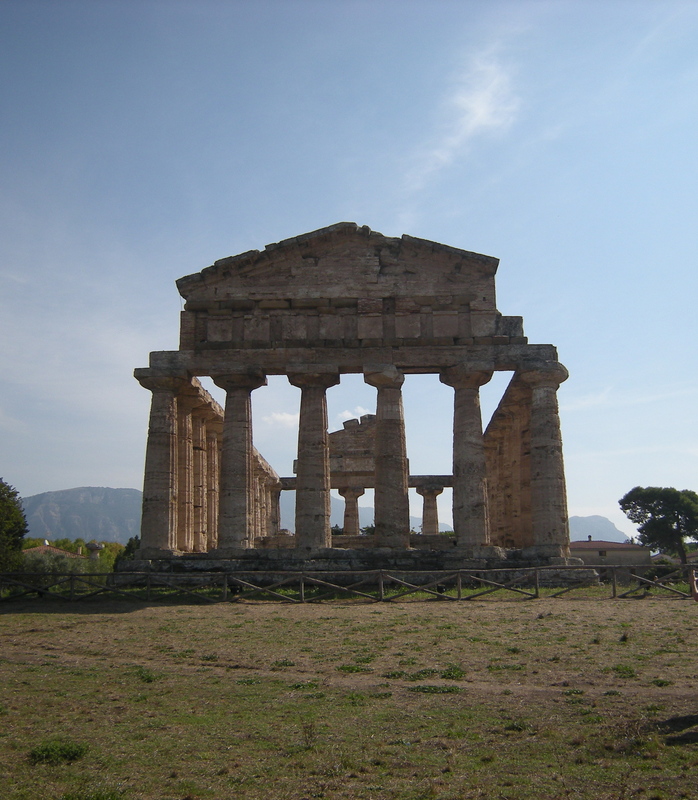 All of the temples were built at different times and the layouts vary, sometimes nearing and sometimes straying from the standard Greek Doric style. The sheer scale of these buildings is absolutely astounding. For lunch much of our class went to a nearby Buffalo Mozzarella factory where we ate delicious plates of mouthwatering salamis and cheeses and topped it off with gelato. I can say with confidence that it was the best Mozzarella and Ricotta that I have in my life. We had the afternoon free and most of us spent it on the beach (yes, our hotel was on the beach! ), and that night a small group of us returned to the site to do a particular activity which may not have been allowed and may have included hopping a fence or two and getting drenched by a sudden downpour…. The last day was meant mostly as a day of relaxation on the beach of Sperlonga. 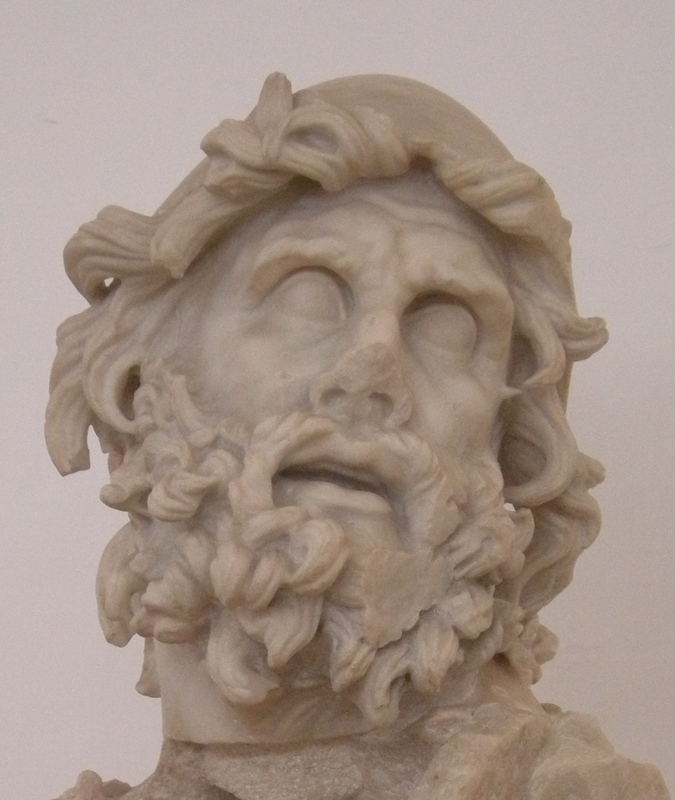 We first spent a short time the Sperlonga Archeological Museum which has the remains of a large villa that was built into a cave on the coast that housed several sculptures depicting scenes from the story of Homer’s Odyssey. For the rest of the afternoon we found a spot on the beach and swam and relaxed. It was a lovely termination to a great field trip!